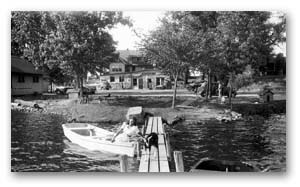 Zukey Lake Tavern was built on the north shore of Zukey Lake right after the end of Prohibition by the Girard brothers (Maggie and Baldy). Owners of the first motorized boat on the lake, the Girard brothers would travel down the chain of lakes, picking up customers for the tavern. Not only did the Girard brothers build the tavern, but they built most of the houses on the north shore of the lake and the road the tavern is on, later named Girard Drive. The original name of Zukey Lake Tavern remained the same through various owners until 1977, when it was sold and changed to “The Wharf”. 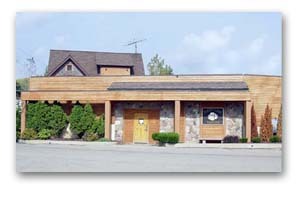 In 1980, Charles Plante and Rick Glazer purchased the bar and returned the name to Zukey Lake Tavern. The tavern remains on Girard Drive in Hamburg Township. The original bar area remains intact, with an addition being added in 1993 and then again in 2005. The tavern now seats over 400 people. It also has an upstairs “Tiki Bar” that seats 250 more people with a great view of Zukey Lake. 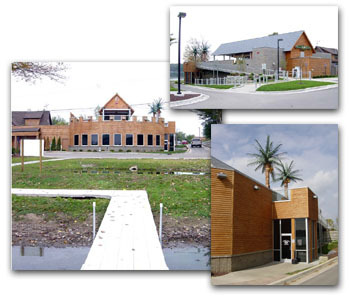 Today, Zukey Lake Tavern is the only full service restaurant on the Huron River “Chain of Lakes”. Our friendly atmosphere and great food make it a must stop whether you’re on your boat or in your car. Already known for our delicious steaks, pizza, ribs, burgers, and fresh salads, Executive Chef Mike D’Antoni offers a wide variety of fresh seafood, pastas, homemade desserts and more. We offer a Kids' Menu and the atmosphere is kid-friendly. Come in and enjoy your favorite sporting event on one of our many big screen TV’s. We offer entertainment on Friday and Saturday nights in our downstairs main restaurant and during the colder months, enjoy our large circular fireplace. During the warm months, relax and enjoy a freshly grilled meal or pizza at the “Tiki Bar” on our upstairs deck overlooking beautiful Zukey Lake.